Retaining walls do more than just retain soil and support land. They are eye-catching structures that add a beautiful custom accent to any outdoor living space. The purpose of the retaining wall might be to separate gardens or create various levels of landscape designs. Other times, retaining walls are installed as a sound barrier. Retaining walls are great for blocking out noise, making your backyard less noisy and make your yard more private and relaxing. Waterfalls or ponds can be integrated into retaining wall designs to transform your landscape into the oasis you’ve always dreamed. At Matthews Construction and Design, we bring a creative eye and the experience of over 48 years in the business into every project we undertake. We can design a custom retaining wall from scratch or repair existing walls that were poorly built many years prior. 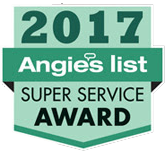 We have countless satisfied customers throughout Washington, D.C. and Montgomery County, Maryland, and have earned an A rating on Angie’s List. We can construct your retaining wall from a variety of materials to give it any look you can imagine. Our retaining walls use rocks or stones, blocks or concrete, and pressure treated wood to create single, double or even triple formations to match your current landscape and needs. Natural stones retaining walls are elegant and classic, and give any landscape a timeless feel. Stone veneer can also be used to give the same look on a more economical installation. Working with wood gives your yard a natural look, especially when we blend the wall into your landscape. When using wood to build a retaining wall, it is important to use a contractor to make sure the permit is legally attained and to assure that the wall is constructed correctly. We stress the strength of your landscapes’ foundation, so an inspection of the area is imperative before building commences. Block retaining walls are the most popular style of retaining walls. They are usually constructed from cement cinder blocks. In some instances, we use mortar to secure each block, but other times your a dry-stacked retaining wall that is easily adjustable in the future maybe more beneficial. We also dry stack other materials too such as rocks and timber. Homeowners throughout Washington, D.C, Bethesda, Rockville and all of Montgomery County continue to be wowed by our creativity and attention to detail. Whatever you’re looking to accomplish with a retaining wall, contact us today and we’ll be ready to discuss your needs.